As the dust settled over the new Xbox One this summer, one point that kept coming up—maybe predictably—was size: The console is surprisingly chunky. Just chunky enough to make you wonder whether its wide berth isn’t a hint at what Microsoft's engineers were hiding in there—and what it could reveal about their intentions for future generations of Xbox. We put the question to Leo del Castillo, Xbox's General Manager of Console Development, yesterday afternoon. Del Castillo, who joined the Xbox team in 1999 as an electrical engineer and has worked on every console since the original, oversaw every element of Xbox One’s engineering. Right off the bat, we wanted to know whether there was any truth to the theory that the Xbox One’s size was part of a design brief that would allow it to run for ten years straight. “I don’t know where that came from,” del Castillo laughs. But at the same time, rumors like that one hint at the truth. Xbox One is only a console in name. It’s also Microsoft’s first attempt to make a hub for an Internet of Things—or, more specifically, a hub for the Internet of Home. “It wants to live in the living room,” says del Castillo. “To some extent, it has to be kind of clandestine and fade into the background. But at the same, it has to look and feel like an investment.” The long, black body of the console reflects this—it’s not about making an object that will be the centerpiece of a teenager’s bedroom, as past generations were. It’s about making it quiet and unassuming enough that families will invite it into the living room, to potentially replace everything from their PC to their Blu-ray player. That’s reflected in the Xbox One’s guts, which hint at the ways in which Microsoft hopes consumers will use it. The console isn’t just wide and long because it’s supposed to look unassuming—it’s big and flat because of its large fan. The design team could have specified a smaller fan, but smaller fans make more noise to push the same amount of air—so the decision was made to trade a large fan for a quieter machine. “In order to be a viable product, we knew it would have to be very quiet,” del Castillo explains. “Because we know that users really, really care about there not being a lot of extra noise when they’re trying to watch TV or a movie.” If the Xbox One is quiet enough, Microsoft hopes that users will give it equal footing in their living rooms (unlike, say, the prohibitively loud Wii U). It’s not just about supporting new gaming capabilities—it’s about supporting entirely new uses. But even the most experienced design and engineering team can’t anticipate the ways in which consumers are going to actually use a new product—which makes Xbox One a grand experiment in user experience. For example, the Xbox One’s long, flat body invites people to pile magazines and DVD cases on top of it—which could cause overheating. And where does the Kinect go, if it doesn’t fit on the TV caddy? “We can’t prevent misuse of the product," del Castillo tells us, "but we can certainly anticipate it." That's largely thanks to new software that can accurately simulate all the ways in which the device will be messed with by young, lazy, or just plain dumb users. The engineering team used computational fluid dynamics—which can simulate the realistic passage of air through a 3D model—to figure out where the problems are going to emerge. Everything, right down to the shape of the fans' blades, was optimized acoustically using this model. And when the team had developed their best guess in digital space, they were able to move seamlessly into prototyping, 3D printing test models on a daily basis. According to del Castillo, Xbox One is the first console that will actually sense the temperature and cut back on power accordingly—along with other engineering fail-safes. "In a situation where an Xbox One has compromised air flow, we can sense that and begin remedial actions like running the fan faster," he says. "One thing we have more flexibility with is that we can dial back the power considerably. We had a little less flexibility with the 360." According to del Castillo, the Xbox one can run on such low power, it needs virtually no air flow. Another technical challenge that came along with colonizing the living room? Length of life. "TVs don’t come and go very quickly," del Castillo says. "For the most part, entertainment products that you invest a lot of money, you expect to tend to hang around for a while. So, we had to design a product that has longevity." The tough plastic shell of Xbox One eschews aesthetic flourishes—like unnecessary colors and LEDs—for simplicity and durability. It's meant to be tucked away and forgotten about, and del Castillo is confident in its ability to survive for many years. Despite all of the thought and testing that went into this console, there are still plenty of unknowns. But both in engineering and design, this is the closest Xbox has come to ushering ubiquitous computing into the living room—despite yesterday’s revelation that Kinect won’t be mandatory when Xbox One ships. 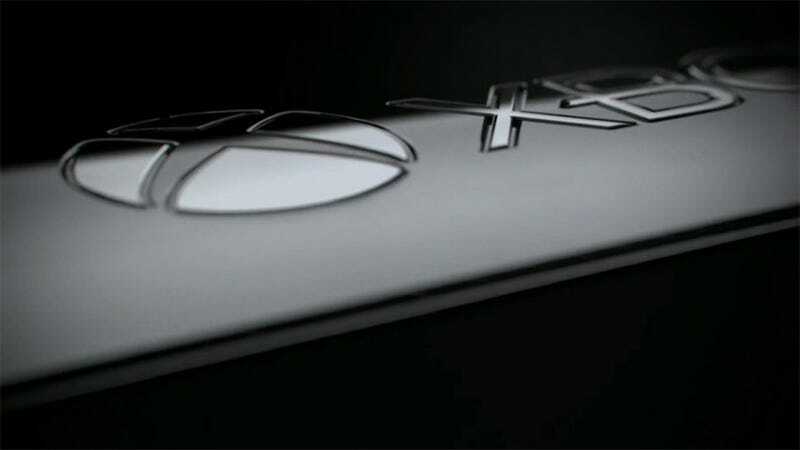 Whether or not this is the console to do that, it seems clear that all Xbox consoles will build on this foundation, though very soon, the bulky black body of the Xbox one might look like a dinosaur as systems go into the cloud and hardware becomes unnecessary. Xbox One isn't quite there yet, but it's doing everything it can to imitate the "invisible" system it wants to be. It's silent, it's aesthetically bland (and thus unnoticeable) and it requires very little from the user. At the very least, it's the predecessor to a system that's integrated into the home itself. Microsoft is laying down the road to a connected home—now we’ll wait and see if consumers want to walk down it.